In a large serving bowl mix all vegetables together. Mix together the Classic Garlic and Lemon Dijon Dressings and pour over salad. Toss until well coated and refrigerate. You can use just green cabbage, but the combined cabbages and carrots make this a very attractive dish. This salad is great right away, but if made at least 1 hour in advance the flavours have a chance to blend more thoroughly. Measure 4 cups ready prepared cole slaw mix into a large serving bowl - add some green onion if you like. 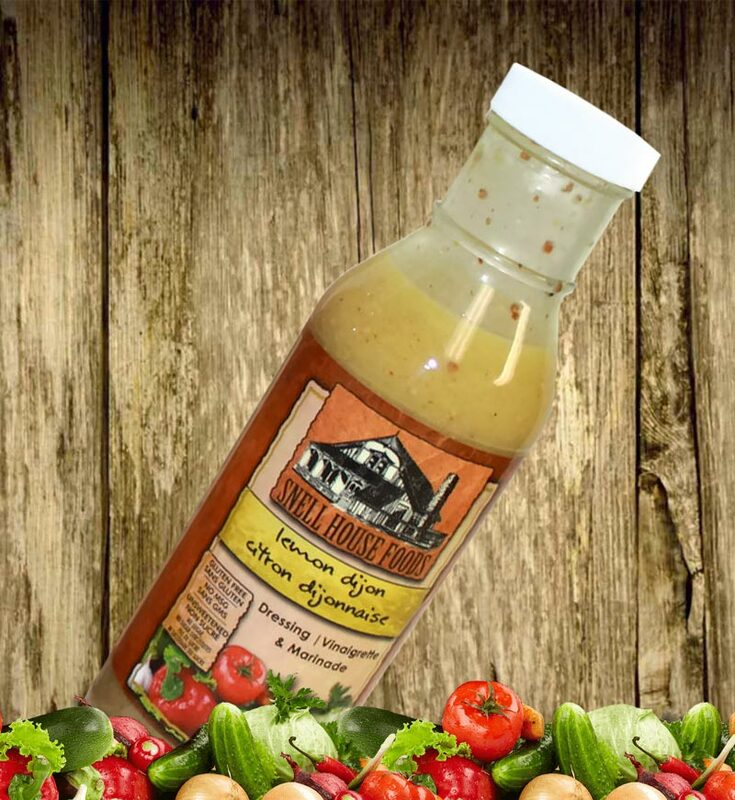 Blend together 2 T Snell House Classic Garlic Dressing and 2 T Snell House Lemon Dijon Dressing. Toss the salad well with the mixed dressings and refrigerate until ready to serve. Keeps well for several days in the fridge. Perfect for barbeques or picnics.